Samsung Galasy SIII going SIV way, the new firmware sure points that way! 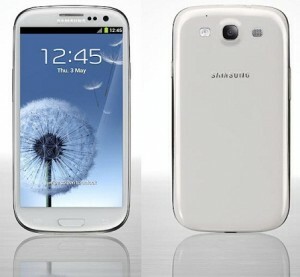 The new firmware for Samsung Galaxy SIII is leaked and it makes SIII more like a Samsung Galaxy SIV. Sammobile, the chief indentifier of such leaks, got their hands on an image of the test firmware Android 4.2.2 update for the Samsung Galaxy S3. And from the looks of it the update will bring about almost all the new features the South Korean giants flagship SIV has to SIII. The firmware version is I9300XXUFME3 and has the build ID JDQ39. According to SamMobile, the upgrade brings the new S4 lockscreen, complete with multiple widgets, two unlock effects (Ripple and Light), and will also allow users to change the clock size and set a personal message. The new Screen modes from the Galaxy S4 which calibrate the display to suit different needs are also available in this firmware. Daydream, Driving Mode, and expandable and actionable notifications were all reported to be present. The Settings page has been changed and now gets tabbed interface just like the Galaxy S4. The update also reportedly brings the new S-Voice, which was one of the features on the Galaxy S4, besides allowing users to run Samsung Apps on full screen. Smart Switch widgets allow users to switch to Easy Mode or switch back from it as and when needed. The list of additions also includes being able to control some parts of the phone using voice commands. If you guys are waiting for an official update, it will be rolled out in June 2013. However if you are not so squeamish about rooting your phone you can download the firmware here. Read the rooting tutorial before proceeding by clicking on Sammobile page above. Do be warned that flashing results in loss of warranty besides risking bricking up your phone. Post in your comments on the new firmware if you have installed it. i dont have s3,, but think it should be helpfull to my friend with s3.